I’m playing the Shostakovich Viola Sonata Op. 147 on Sunday afternoon, and I’ve been searching various printed volumes and the internet for more information about its genesis and about Shostakovich’s life in general. I stumbled upon the following, a letter written by the then president of the Soviet Composers’ Union, Boris Tischenko. It was found amongst the pages of the manuscript of the Viola Sonata, and I think it’s quite interesting. It’s also hard to come by on the internet, since the site seemed to be down, but thanks to the miracle of Google’s site caching, I was able to recover it. It was translated by Sergei V. Korschmin, who I believe is on the faculty of the University of Queensland, Australia. Italicized text is that of the translator. Boris Tishenko Notes and translation by: Sergei V. Korschmin. I was asked to translate this letter by a music student of the University of Queensland some time ago. I am not a professional translator so I was wondering if you may have any suggestions for improvement. The Russian text of the letter was located in the first couple of pages of the viola sonata. Unfortunately I do not remember nor can I locate the publisher. Maybe you could help with this too? This is not a joke: indeed Dmitri Dmitrievich thought of himself as an ordinary man. We see 15 year old teenagers experiencing this feeling while most are usually full of high opinions of themselves. This nature-given quality he preserved through all his life, whilst many of us work very hard to develop it. This is only possible for a devout man – a very rare sacred quality, and Ivan Ivanovich, closest friend of Dmitri Dmitrievich, enjoyed his boundless love. Shostakovich’s love was an important engine of his artistic might; artistic might was also the reason for his being loved. 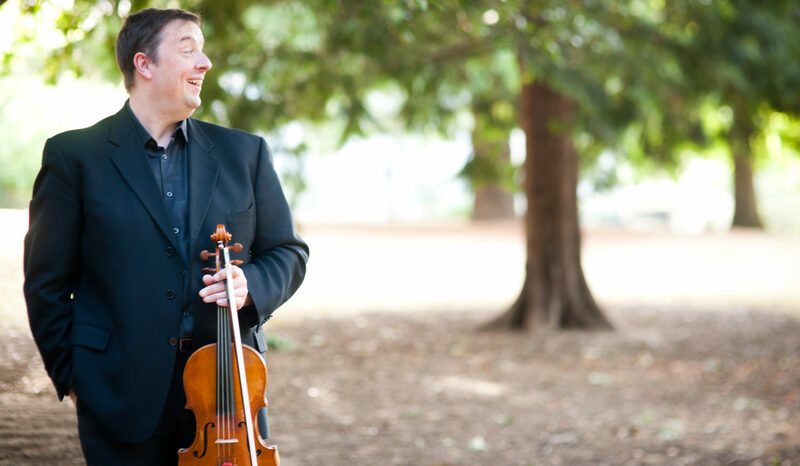 Proof of his love and his remarkable ability to listen and admire music of others is evident in his Viola Sonata. In it exists, thinned to the limits, music-associative series; Shostakovich in his late works used musical quotations. A smart and tactful quotation exists in the finale of the Viola Sonata: the characteristic point from Beethoven’s 1st movement of the “Mondschein” Sonata Op.27., No.2, only transcribed from triple into quadruple metre. This sad and tender mood is central to the (viola) sonata. It also has different beginnings – effectual and remonstrative. In front of us, walking past like shadows, are Shostakovich’s favourite composers: firstly Alban Berg, in his tender fifth pizzicatos in similar fifths, begins his violin concerto dedicated to “Dem Andenken eines Engels” and Louis Krasner. This “intervallic formula of fifth” time to time reappearing in the Shostakovich sonata calls for multi-staged associations. In the second material, in his diminished triads, the effectiveness of tearing triplets is similar to beginning of Mahler’s 5th Symphony (Allegro), and in the end of the section the “breaking-away” triplet with semiquaver unequivocally recalls in our memory the “fate motif” from Beethoven 5th’s motif, that generally journeys through many compositions. The beginning of Mahler’s 5th Symphony and triplets from the first theme of the 4th Symphony by Tchaikovsky directly relate to this ominous formula. Rachmaninov brought this motif in the romance “Fate” (Sud’ba) Op.21, No.1; it lives in the timpanies in R. Wagner’s “Der Ring des Nibelungen”; and this ring of association closes with the finale of Shostakovich’s 15th Symphony, where he quoted Wagner’s fate motif. It is possible to find more and more threads of associations, for example in the second movement, written in the spirit of the tender duple scherzo of the 7th Symphony’s second movement and Prelude in fis-moll, from the 24 Preludes and Fugues Op.87; in glimpses of Mahler-like ascending quart grace-note and accented mordent; [Mordent – (from It. mordere, to bite) Musical ornament shown by a sign over the note. There are upper and lower mordents. In German Mordent means only the lower mordent. Upper Mordent in German is “Pralltriller”.] and second material with open strings, seventh and fifth in accompaniment sound of slight peasantry – somewhat coarsely-tender. In the middle of the movement after the Violas fast forth, is the piano with very familiar and threatening musical signal in octaves. The intervals of fifths and especially fourths are very important in the viola sonata. M. I. TsvetaevaIn Shostakovich’s music in general, intervals of fourths are multi-meaningful. It is a fourth of tenderness – tenderness influenced by Tsvetaeva’s [Marina Ivanovna Tsvetaeva (October 9, 1892 – August 31, 1941) was a Russian poet and writer. Dmitri Shostakovich set six of Tsvetaeva’s poems to music.] cycle – and spiky, playful and mischievously moving fourths and other leaps. All of these kind of fourths you can see in the sonata. However, most of all of the fourths of tenderness (at the beginning of the 3rd movement, finale) – tenderness – without sentimentality, are high-principled and Beethoven-like (hence, “Mondschein” Sonata). In thinking, and I am not over-stretching this thought, that the programme of the viola sonata is in supreme affirmation of love and human warmth. In the soul sterilising sorrows, torture, and sickness after the hell of war, people need tenderness and kindness. That is why this instrument of soft, tender and deep sound – the viola, and this sonata is the conclusion to Shostakovich’s triangular string sonata cycle, following the Cellos and Violins. 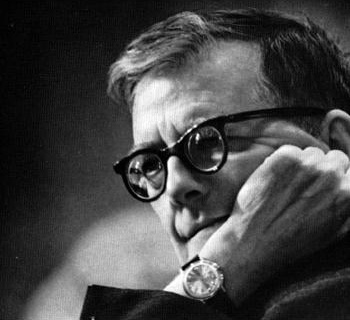 Shostakovich is in general a very “stringed” composer: 15 string quartets, string quintet and trio, string 14th Symphony. He never selected wind chamber ensembles, like Stravinsky, Hindemith, and even Mozart. With all of his originality, Shostakovich avoided specifics. Without fear I argue that in “stringency”, Dmitri Dmitrievich, classic of classics, shows self-abnegating kindness. The programme of his music, of course, does not screen itself from “absolute” music; quotes and musical allusions have aesthetical character. That is a sign of humble admiration before those whom he in his quotes “gives word”; with all of this he always remained himself. Maybe his affection and love of the music of others made his own music non-comparable to that of others. Velazquez Las MeninasPicasso Las MeninasAll in all he is not afraid of quotation, like Picasso was not afraid to paint on the subject of Velazquez [Diego Velazquez – (1599-1660) was a Spanish painter who was the leading artist in the court of King Philip IV of Spain. His work was highly admired in his day, but was most influential many centuries after his death, which it proved a model for the Realist and Impressionist artists, in particular Manet.] “Les Meninas”.Kindness, sincerity, perfection of absolute thought, suspended from the bustle and freedom of apophthegm, are the characteristics of the viola sonata as it is of its author’s character. Sonata for viola and fortepiano Op.147 is dedicated to Fyodor Seraphimovich Druzhinin and will be premiered very soon. Without a doubt, Dmitri Dmitrievich Shostakovich’s new composition will make the world a better place. B. Tishenko, 11 September 1975 year. My heart was pounding, because I knew that when Dmitri Dmitriyevich spoke og having ‘an idea’ of writing something, it meant that the concept had ripened and the work was probably complete. He would never speak of something that was only a projected work. ‘I would like to consult you, to ask your advice on some technical points.’ There followed some questions about my family, my health and so on….I assured [him] that I was entirely at his disposal, and if he wanted I was ready there and then to come and see him with my viola. On 5 July, [he] rang me and said, ‘Fedya, you would probably like to know at least in outline the programme of the sonata?’ He had never before talked, at least to me, of the inner content of his works…. ‘The first movement is a novella, the second a scherzo, and the Finale is an adagio in memory of Beethoven, but don’t let that inhibit you. The music is bright, bright and clear.’ Evidently, [he] wanted to emphasize that the music was not morbid and should not be regarded as a funeral march…. That same day in the evening [Shostakovich’s wife] rang to say that he wished to speak to me. [In] a few days time I received a letter from [Shostakovich] in hospital, which calmed my fears. He gave me his telephone number in hospital. But when I tried to ring, there was no answer. I tried ringing his wife […] but discovered that she was with him in the hospital. Eventually I discovered that [his] condition had deteriorated, and he had been transferred to a special ward where there was no telephone. I immediately rushed up to Moscow so as to be nearer him. I rushed home and immediately rang [my pianist]. He came flying over to my place and we thereupon started playing the sonata and continued playing it till late at night. Immediately afterwards I sat down to write a long letter to [Shostakovich] to express my profound gratitude to him and my immense admiration for the sonata, which sounded marvelous, and to reassure him that there wasn’t a note in it that could not be played. I promised to be ready as soon as possible to perform it to him, and at latest, if he approved of our interpretation, to schedule it for a concert on his birthday, 25 September. I hope these help shed some new light on this truly remarkable piece. Bob – thanks so much for this! I remember having seen a part of the second passage you’ve written above (lots of work!) quite some time ago, but not knowing where, so that is a great help to me! If you haven’t read either of these, I can give a cautious recommendation based only upon preliminary searches of their contents, but they seem quite solid. If you haven’t looked at it you might want to find a copy of Vol. 16 no. 1 of The Journal of the American Viola Society. It has an article by Donald Maurice entitled “Schostakovich’s Swansong” (Note the interesting spelling of Shostakovich). There are a few dissertations that may also be of interest, notably “The Shostakovich Viola Sonata: An analytical performer’s guide,” from 1991 by Leslie Faye Johnson at University of Washington. Thanks, David – I’ll check out those sources. I’m thinking about doing a play and talk feature about the Shostakovich, and these resources would be terrific!